Last night's supper was based around an ingredient that many of us can find for absolutely free if we spend some time scanning the hedgerows. Ramsons (more commonly known as wild garlic, due to it's sweet but heady garlicky taste) favour damp, shady spots, and they are ripe for the picking right now. They can be used in salads, soups, as vegetables, or even blended up with a bit of salt and olive oil to make a delicious pesto. 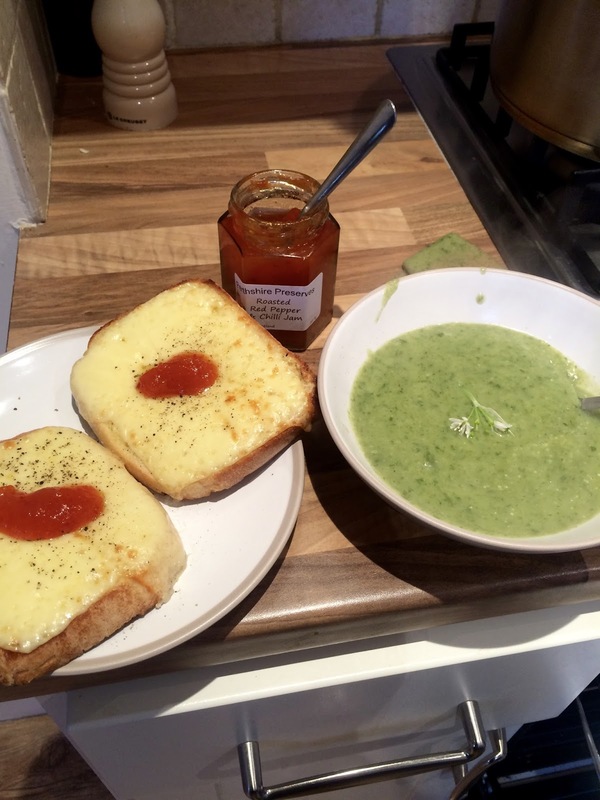 I made a simple wild garlic and potato soup, served with cheese on toast and a blob of chilli jam which was recently given to us as a gift. We washed it down with a pint of Badger ale each, which was very delicious indeed. It won't be a regular treat, but we got the case for less than half price at our local wine warehouse (it was short dated) so it would've been rude not to! All I did was wilt the wild garlic in the butter (ale optional) whilst I peeled and chopped my potatoes. 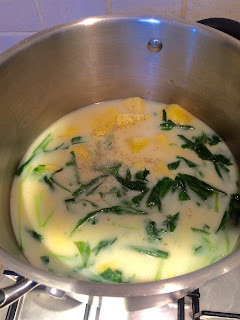 I then chucked in the potatoes and stock, brought the pot to the boil, left to simmer for 20 minutes and then blended well. That's it! 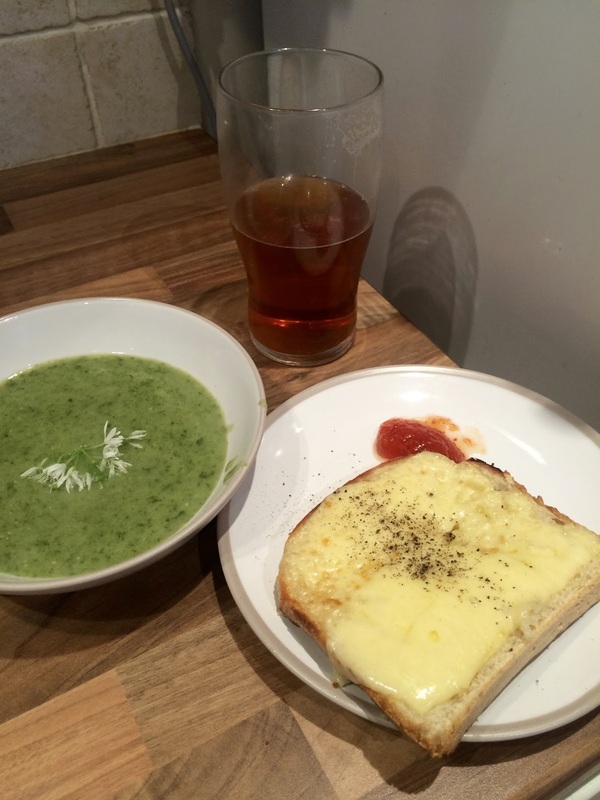 It was delicious, especially with cheese on toast - with homemade bread, of course, and a blog of delicious homemade preserve. I must admit we only usually forage blackberries and elderflowers, but now I know how delicious wild garlic is, I shall be looking out for it more! If any super experienced foragers are reading this and can tell me what else it is I should be looking out for, I'd love to know. Sounds delicious, I usually only manage to get blackberries. We're on a mission this year to forage more - it's amazing how much free food is out there. And it's a great excuse for a long walk! Prep, prep and prep some more!